I was provided with a credit to design a phone case. All opinions are mine alone. Every season, I buy a few new items for my wardrobe. It’s so much fun to bring in pieces that are fun and fresh. It makes everything seem new again! Well, this summer I figured my phone deserves a new outfit, too. Last year, I shared an iPhone case that I designed on CaseApp. For the winter season, I had a family picture on my phone case. This summer, I went with a bright and fun design. I played around a little bit more with the features on CaseApp. When I came across this adorable narwhale, I knew he had to be on my case! And since the summertime is for going to the beach, what better theme than a beach theme? I am so happy with this case! I’m even thinking about switching it up again for back to school time. 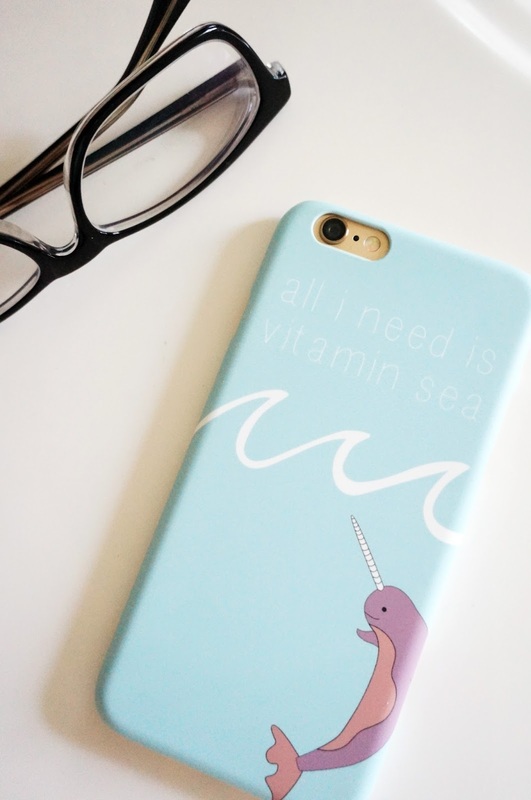 If you would love to design your own phone case, I have coupon code for 20% off! Use REBECCASUMMER20 for 20% off your order. And please share your designs with me, because I would love to see them!